Hey all my fellow Book Nerds out there! 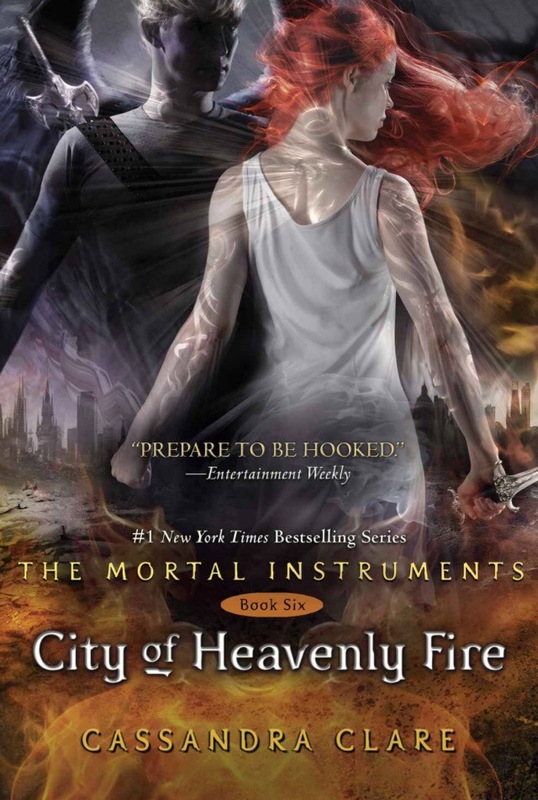 I recently finished City of Heavenly Fire, by Cassandra Clare. Cassandra Clare is one of the greatest storytellers I have ever had the privilege of reading!! In The Mortal Instruments series, she created this amazing, intriguing world – coinciding simultaneously with our regular, everyday world. She has made us fall helplessly in love with Jace Herondale, our perfect male specimen. Jace is one of the best characters I’ve ever been introduced to. He’s witty, sarcastic, conceited, charming — everything, all wrapped up into one character. Clary Fray is perhaps one of the boldest female characters I’ve read in a long time. Strong, confident, intelligent, caring – Clary is that female character that we all can relate to in one way or another. Together, these two characters have walked us through an amazing tale of Nephilim, Angels, Demons, Vampires, Faeries, and Warlocks – heroes, heroines, villains, fallen heroes, rising villans, and so much more. In these books, you witness different varieties of beings set aside their differences and prejudices and work together for a common cause. Get yourself a copy of The Mortal Instruments: City of Heavenly Fire, and follow Clary and Jace one last time as they fight the largest, most important, and most brutal war of their lifetime against Clary’s own brother: Sebastian Morgenstern. Can Clary, Jace, Alec, Isabelle, Simon, and the rest of the crew pull together again to defeat Sebastian and his army of Endarkened Nephilim warriors? Or has Sebastian finally found the one way to defeat the Nephilim. I had such a good time reading this last installment of The Mortal Instruments. It absolutely thrilled me how Cassandra Clare has expertly linked The Infernal Devices to The Mortal Instruments, while setting the stage for The Dark Artifices, coming Fall 2015. The character development throughout TID and TMI has been exceptional. I don’t doubt for a second that The Dark Artifices will be equally as amazing. Cassandra Clare is, quite simply, one of the best authors of her time, to have created the world that she did, that keeps all of us craving more, and more, and more. Book Nerds HIGHLY, HIGHLY recommends that you read both existing series: The Mortal Instruments — and — The Infernal Devices, if you haven’t already. We are already dying to start The Dark Artifices. Thank you, Cassandra Clare, for sharing your brilliance with the world. (Recommendation by Book Nerds, Hil).